Just posted up a case study for some Business Italian classes la Academia is running in Cheadle for Chiesi. A lot of businesses are being encouraged to export, yet report that they don’t have the language skills that they need in their team. Well, have a look at how we are helping one local business develop the Italian skills of its staff, and if you’d like to train your people in Italian (or French, Spanish, Chinese, Portuguese or any other language) give us a call. 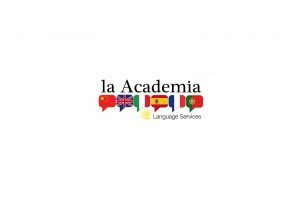 la Academia offers a free Business Language class taster session at your offices – let us know the dates and times that suit you here, and then gather a class of up to 6 members of staff who would like to give a language a go!